Before implementing Microsoft Dynamics 365, a Leading Skincare Brand used multiple outdated systems to keep track of their business. They wanted to consolidate their data into one platform, for a single view of each customer. Because their sales team works on the road, data accessibility was also an urgent need. Beyond their sales team, they wanted all departments to be able to track customer interactions in one system to ensure visibility into the complete customer journey. This Leading Skincare Brand worked closely with PowerObjects, an HCL Technologies Company to build a Microsoft Dynamics 365 solution that would transform not only their sales teams’ business processes, but also the capabilities of their entire company including marketing, customer service, education, IT, and credit control teams. When searching for a platform, the Leading Skincare Brand narrowed down their choices to Microsoft Dynamics 365 and Salesforce. Dynamics 365 quickly rose to the top and was their ultimate selection because of three main differentiators. First, the Leading Skincare Brand was already using Microsoft Office 365 throughout their organization so they knew that the integration would be easy and that their employees would have familiarity with the product. “We felt that to get users onboarded quickly and get them using the system from day one, having that familiarity was very important,” says their Enterprise Services Director. They also felt that the PowerObjects team had the best understanding of their overall business and business needs. 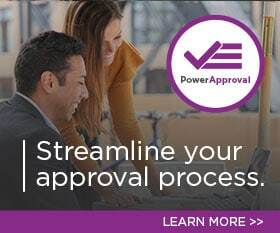 “From our very first meeting, PowerObjects came in with productive and useful suggestions that were tailored to our unique company. Salesforce had more of a tunnel vision approach. The presentation they did would have been able to fit any business really. It wasn’t customized to us like PowerObjects’ presentation,” recalls their Enterprise Services Director. The third factor that lead this Leading Skincare Brank to choose Dynamics 365 was the cost structure. “We found that Dynamics 365 was roughly one-third cheaper to roll-out from a development and licensing perspective. Our department managers and team members that were involved in the decision-making process were absolutely, 100% unanimous choosing Dynamics 365 as opposed to Salesforce. Not one person wanted it to be Salesforce,” says their Enterprise Services Director. Because Dynamics 365 contains both CRM and ERP workloads, the Leading Skincare Brand can track not only sales and customer service information but also finance and operations information. This allows their sales team to view recent orders, account balances, and inventory all within one platform. “One of our main goals was to have everything on one platform and we certainly have accomplished this with Dynamics 365,” says their Enterprise Services Director. Previously, they had to run reports within a separate ERP platform to identify customers who didn’t purchase any products within a given month. Then the results were distributed to various departments to take action. The sales team would get in touch with the customer and Marketing would run a campaign. Now with Dynamics 365, we have the most relevant order information in one place. Just by utilizing the out-of-the-box functionality of Dynamics 365, the Leading Skincare Brand can channel the summery of order information to the relevant sales and marketing people. This has not only streamlined the process but also given management better visibility over the sales channel. The Leading Skincare Brand has three main teams handling cases. Each team is assigned specific types of cases, with some overlap between teams. Before Dynamics 365, each team had varying approaches of capturing and resolving cases. This made collaboration between teams very complicated. Now with Dynamics 365, all teams are working on the same platform and passing cases from one team to the next is as simple as clicking a button. Another function of Dynamics 365 that has improved case management for the Leading Skincare Brand is Child Cases Functionality. Previously, customers with more complex cases had to interact with multiple teams, providing what sometimes seemed like a disjointed customer experience. Now, they have visibility to all customer interactions in one parent view and are able to asks the basic questions only one time by simply adding child cases. The senior customer service team is able to look at all cases and link them to accounts in their system to track interactions with specific accounts. This allows their team to report on the amount of interactions that are had with individual accounts, what types of queries are coming in, and how quickly issues are being resolved. The Leading Skincare Brand has two types of sales reps: New Business Consultants (NBC’s) and Business Development Consultants (BDC’s). NBC’s travel around the country looking for new accounts. When setting up accounts and entering information, NBC’s are able to ensure clean data because Dynamics 365 allows there to be very strict criteria on what cells are required. NBC’s use Dynamics 365 to track everything from prospect details to competitor information, all the way up to when the agreements are signed. To streamline the agreement process, The Leading Skincare Brand uses a DocUsing solution. At this point, there is a workflow that kicks in to bring their credit control system into play. This team will do the necessary credit checks and ensure that account opening forms, terms, and conditions have all been signed correctly. This entire process had to be done manually, before Dynamics 365 was implemented. Going forward, the Leading Skincare Brand is hoping to start sending out surveys at the end of customer visits. They will randomly select accounts to say, “hey, you had a visit from one of our reps yesterday. How did it go? Did you get a value out of the visit? What would you like us to do differently?” “These are all things that we didn’t have the ability to do in the past, so I think they’re some really nice things we can bring into play to push us ahead of what our competitors are doing out there as far as our sales team is concerned,” says their Enterprise Services Director. The Leading Skincare Brand’s Marketing team uses PowerObjects’ PowerPack Add-On, PowerMailChimp, for all of their email functionality. Before implementing PowerMailChimp, They had to update their customer lists in MailChimp manually. Now they are able to use smart logic with Dynamic Marketing Lists to synchronize and group those lists in only a few minutes, a process that used to waste hours. “This PowerPack ties MailChimp directly into Dynamics 365 so that we are able to track if our target audience received an email, opened it, clicked on a link, and what they did with it. We’re going to be able to run reports to find out the best time of day to send e-blasts, for example. There’s a wealth of information we will gain from this PowerPack that is very important. And this is just one of the PowerPacks that we are using now. We hope to use many more down the line. Our wish list is always expanding,” says their Enterprise Services Director. The Leading Skincare Brand also plans to expand their social engagement capabilities in the near future. “We do quite a bit of work with our accounts and consumers through Facebook, Twitter, and Instagram. Because of this, we are really excited for the integration between social engagement and Dynamics 365 to track and respond to consumers directly through social channels,” says their Enterprise Services Director.